School of Life is a year-long, ongoing, advanced live training and personal development program. We use Family, Systemic and Organizational Constellations to help people uncover and shift the unconscious blocks in their personal and professional lives. This program is designed to help you master your body, mind, spirit, and relationships so that you can progress to a new level of vitality, conviction, triumph and impact in life. This is about supporting you succeed in achieving your full potential in all you do. It's about freeing your life of fear, weariness and irritation so that you can live a more joyful, inspired, loving, and amazing life. In addition you will be hosted and supported by Ivan and Mariana Polic, best selling authors and advisors of families and businesses. Join us in exploration of Family Constellationsin Los Angeles. 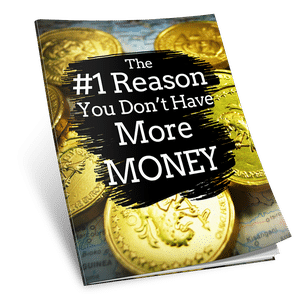 Includes personal Constellations for persistent issues that have been immune to traditional approaches and anything else you would like insight and transformation around, including relationships, intimacy, health, career, money, business and much, much more. 10 Community Days and 22 Days overall of Field Exploration, Growth and Education. Minor children of attendees can join for free throughout the year and intimate partners of attendees can join one 3 day event for free to foster parallel growth and support. Payment Plans and Scholarships Available. There will be a formal payments, scholarship and financial aid program. This will be our way of supporting people in difficult circumstances. Why do you want to be in this year's School of Life? How do you plan to utilize the healing and learning? What is the amount of scholarship that you need and why? or call714-598-6884 for more information. Copyright © 2019 School of Life Los Angeles - All Rights Reserved.